I'm beginning to worry that I'm falling behind in my goal of visiting 365 unique pubs in my year abroad, so I've started to cheat by counting pretty much any place that serves alcohol. 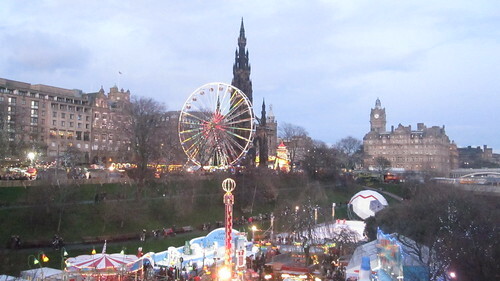 Including, for example, the German Market at the Edinburgh Christmas Fair! I sampled a plastic cup of mulled wine, which tastes like it sounds. Svea seemed to enjoy it. 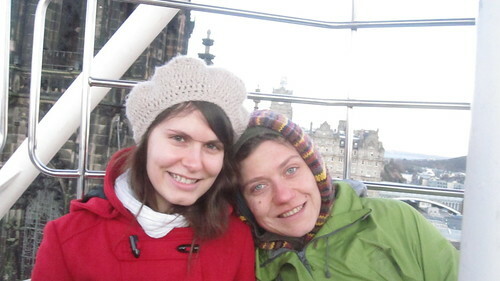 Speaking of which, here are Svea and Meghan on the ferris wheel, high above Princes Street. It was quite chilly. The five of us rode together as a family. 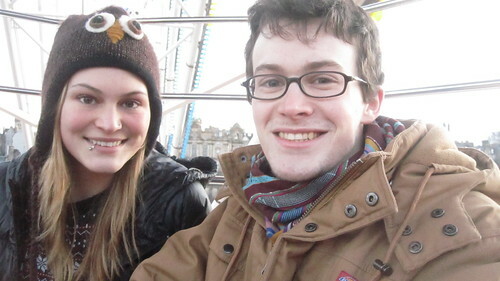 Here's my other two charming children.